Thank you for your interest in MRU Instruments. Providing innovative handheld, portable and stationary measuring solutions for LFG, Biogas, Syngas, combustion, and emissions for over 30 years, MRU's instruments are designed and manufactured in Germany. Our accurate, field rugged analyzers deliver the reliable measurements and data to make your job easy and trouble-free. Support, service, and calibrations are handled in our Houston location, where a strong reputation has been established by providing fast and reliable customer service. We look forward to seeing you at our Booth #224. In the meantime, if we can be of assistance, please call us 832-230-0155 or visit our website, www.mru-instrument.com for more information. Brands: Optima 7 Handheld Biogas Analyzer, SWG 100 Stationary Biogas Analyzer, NOVA Plus Emissions and Biogas Analyzers, AMPRO 2000 Emissions Analyzer. 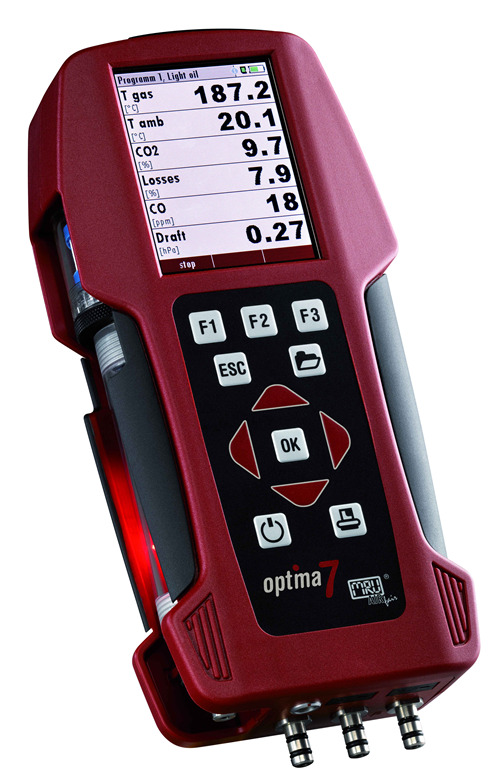 For Landfills and anaerobic digesters, the OPTIMA 7 measures methane, carbon dioxide, hydrogen sulfide, oxygen, plus pressure, flow and temperature. It can also be outfitted for the tuning of WTE engines, whether on biogas or natural gas to measure carbon monoxide and NOx.